There are times customers are wanting to change the User Interface (UI) look n feel of CRM. 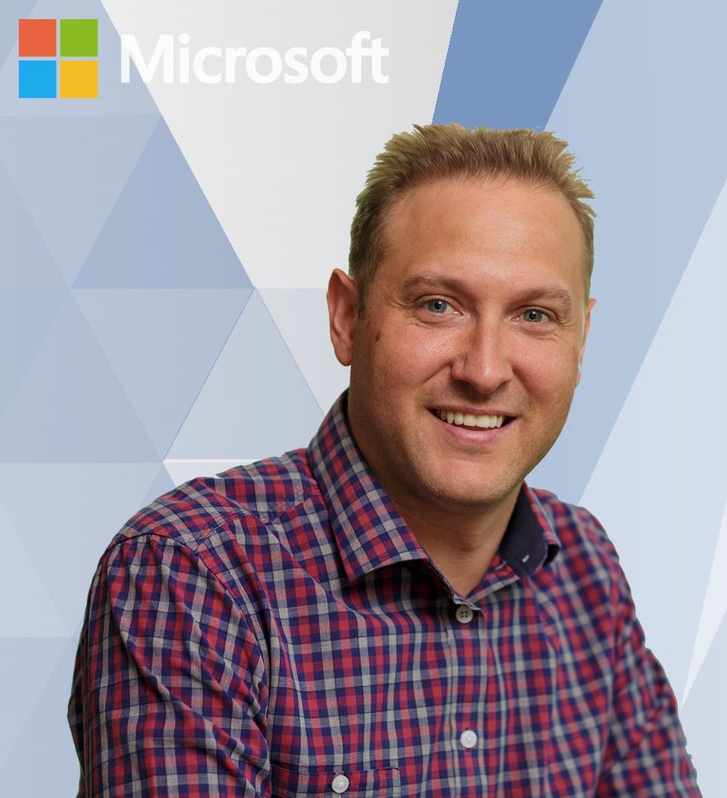 They wanted to change the colours, logos etc to blend CRM into their existing systems. 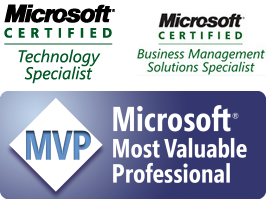 Well as of the Spring ‘15 release of Dynamics CRM this will all be possible, but limited. This will initially be released to CRM Online. Themes are used in CRM primarily for branding. Branding includes adding a logo and altering the main navigation – but not drastically. At the moment themes are limited and you can adjust the hover colours, selection colours, logos. There has to be a bit of control by CRM so that you don’t make a mess of your UI. Once you have clicked on Themes you will be displayed a list of Themes as shown below. The list above (from the screenshot) displays two important columns, Type and Default Theme. 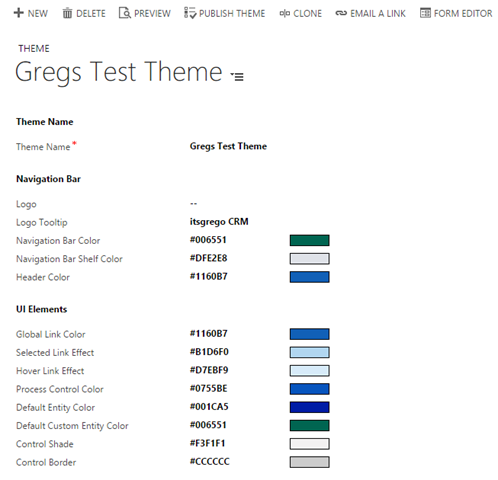 The Type column indicates whether the Theme is a System theme (built by CRM), or your Custom Theme. The second column is the Default Theme. This column will indicate which Theme has been applied to the CRM system i.e. Published. 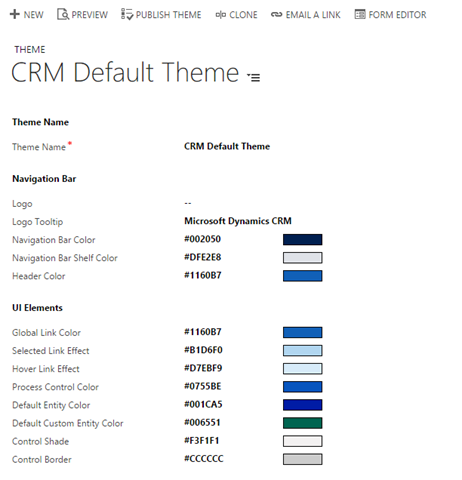 If you were to open the default theme shipped with CRM, the settings would be as shown below. To start creating a new blank theme, click NEW from the command bar. However I would recommend you open the CRM Default Theme first and click on Clone from the command bar. This will create you a new Theme record already populated as a good starting point. The screenshot below shows a Theme I have created. Adjusted the Logo Tooltip and the Navigation Bar Color. The colours are shown in their hexidecimal colour codes. If you want the codes for other colours, then head to the link below which can generate these for you. You can then paste the hexidecimal result into CRM. To test your Theme, click on PREVIEW from the command bar to get a feel what your changes would look like. Once you are happy with your Theme, click PUBLISH THEME to activate your Theme. After the screenshot above, I added my profile picture as a logo and published. The end result is shown below for those who need to know what it would look like.